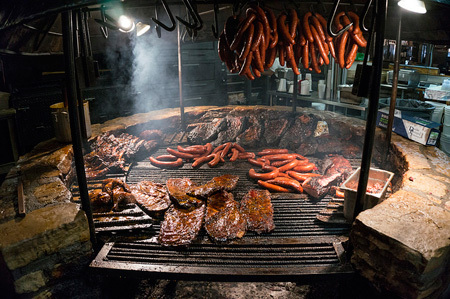 Everything is bigger in Texas, and barbeque is no exception. 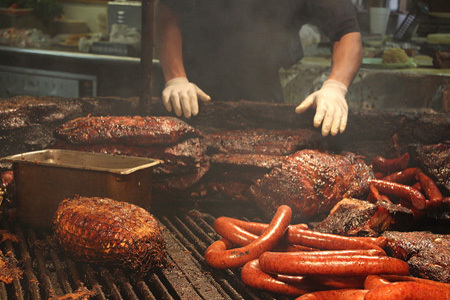 The unique and delicious style of Texas barbeque is exemplified throughout the Lone Star State, from Houston to Lexington. And with the unique style comes the best of the best – barbeque pits, joints and meat shops that will make your mouth water and your heart stop, leaving you begging for more. Just don't be surprised when the restaurant doesn't have frivolities like plates or cutlery – for barbeque is the sole king of these hallowed spots. 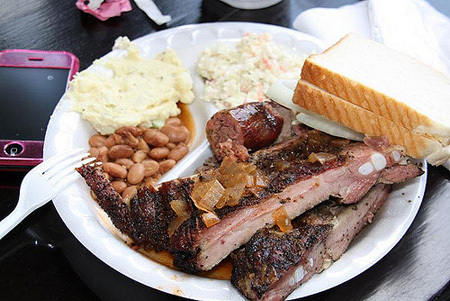 Luling City Market was founded in 1981 in Houston in an attempt to bring the distinct Central Texas barbeque style to the city. All their meat is cooked over Post Oak wood in specially designed pits. Luling City Market's attempt to bring real barbeque to the city didn't just hit the mark, but surpassed it. 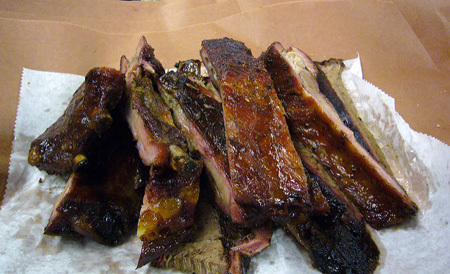 They have a consistently succulent and distinct barbeque, and a delicious sauce to pair. 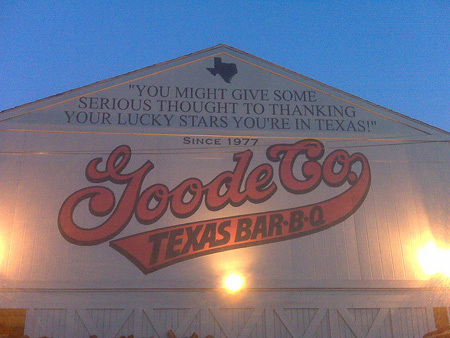 Goode Company has been offering some of the best mesquite smoked barbeque in the state for almost 30 years – and it shows. This successful little empire has become synonymous with "fall off the bone" barbeque in Central Texas. When opening the joint, Jim Goode had to sleep outside with a shotgun in hand to protect the meat, the equipment, and himself – in that order. At Snow's, good barbeque, good service, and friendly people have helped to keep the fire burning, maintaining a steady and consistent business for the last eight years. That is, until three years ago when "Texas Monthly" named Snow's the best barbeque joint in the state. Since then, Snow's has just been trying to keep up with the relentless pace that has put them in the spotlight. Ms. Tootsie Tomanetz, the pitboss at Snow's, opens the place at 8 a.m. on Saturday, and serves until the barbeque runs out – usually around noon. Gatlin's has always said that love is their secret ingredient, but high quality product and a lifetime of barbeque knowledge can't hurt either! 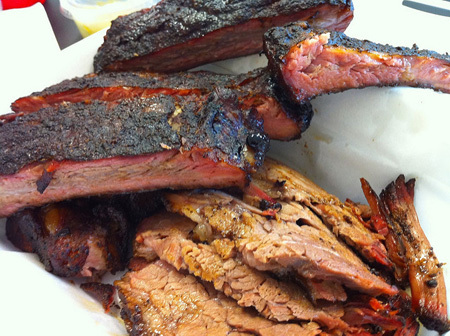 A family-owned and -operated business; Gatlin's fame lies in their ribs and brisket. And while the brisket is delicious, the ribs make this place worth visiting. Falling-off-the-bone tender, mouth-wateringly flavorful, and beautifully seasoned, these ribs define what Texas barbeque is all about! A little Texas barbeque history, abbreviated… The Kreuz family made barbeque for 48 years at Kreuz Market, before selling the joint in 1948 to Edgar A. "Smitty" Schmidt. 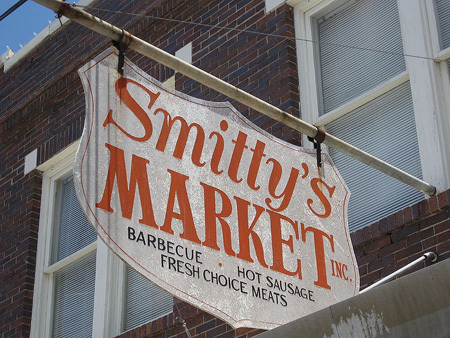 Smitty continued their legacy of delicious, superbly smoked barbeque that stands to this day. Although ownership has changed hands, the legacy of quality barbeque remains, with the new ownership making sure to adhere to both Smitty and the Kreuz family's high standards. Famous for their lack of knives or forks, these unnecessary utensils truly prove superfluous at this amazing barbeque spot in Luling. Prepare yourself for the more "old school' barbeque experience here, and be sure to order the ribs and the sausage. This little barbeque spot far surpasses its reputation as one of the best joints in Texas. Just be sure to arrive well before their 6pm closing time, because they'll close around you as you're scarfing down delicious barbeque! Few Texas barbeque joints can boast being a James Beard award winner, and Louie Mueller Barbecue makes the list! Originally founded in 1949, this place has been putting out consistent quality for the last 60-plus years. Their beef brisket's smoke ring will leave you wondering how they do it, and the flavor of all their meats shows why this place is one of the best! Meyer's Elgin Smokehouse makes delicious barbeque. One item stands head and shoulders above the rest, though – their sausage. The recipe has been passed generation to generation, and in 1949 R.G. Meyer was persuaded by his sausage fans to start Meyer's Sausage Company. 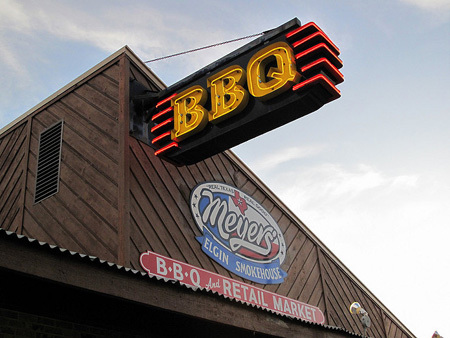 Since then, Meyer's has gone on to produce all sorts of delicious and mouth watering barbeque; just be sure to try the sausage! If you're looking for meat covered in sauce, Lockhart Smokehouse is not going to be your BBQ joint. They have a motto: "No Forks, No Sauce Needed!" They do have forks and sauce if you really want them, but you'll just be masking the flavor of the rub and smoke that Lockhart is known for. They have a location in Dallas as well as Plano. 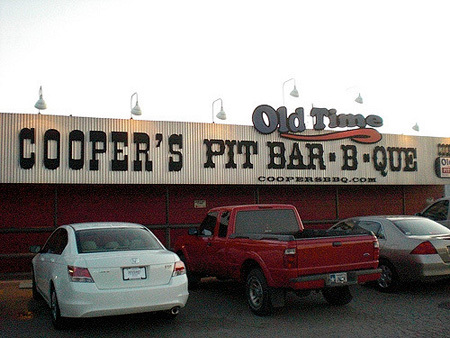 Things are done a bit differently at Cooper's BBQ. They engage in (some say dangerously) direct-heat cooking methods… and they sauce. Now, don't be afraid, these aren't entirely bad things – if done right. And the Wootan family at Cooper's certainly does things right. Their 'cowboy style' of cooking gives a profoundly fresh and juicy flavor to all of their meats, and their extra thick cuts ensure nothing is ever over-cooked. Just be sure to try their over-sized pork chops. You won't regret it! Few restaurants can boast about being the oldest family owned barbeque restaurant in Texas, in fact, only one can. 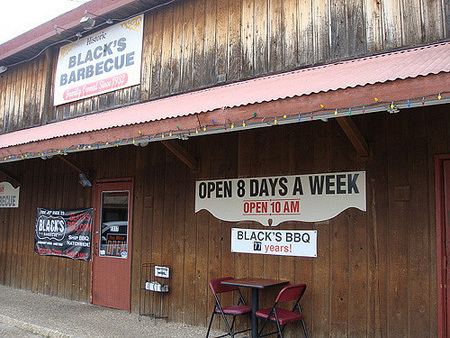 At Black's, the family has owned and operated Black's since 1931. Not only are the ribs and the sausage to die for, but the pork loin has a smokiness and spice profile that will change the way you think of those stout little animals. The easiest way to find Black's is to look for all of the oversized signs pointing the way. Author's Note: In the original version of this post we had used some images from http://fcg-bbq.blogspot.com/ without permission. This was a mistake and it has been corrected. I'd also like to thank Daniel from Full Custom Gospel BBQ for pointing out that two of the restaurants we had on the list were closed, and they have been replaced in the list now with Black's BBQ and The Salt Lick. This was somehow missed in our research.